Today I set myself the challenge of filming and editing a video all in one day. Normally it takes me a day to film and then another to edit as it frustrates me way too much trying to do it all in one go. It's a hell of a lot of clicking! None the less I managed to do it all in about 7 hours and Im fairly pleased with the final result! 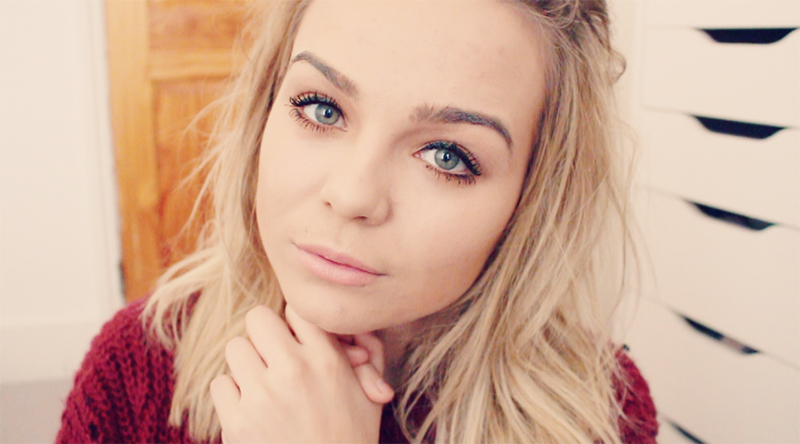 It's simply my current makeup routine and then a lazy Sunday outfit! Watch here or on Youtube for the full details! I really like this eye make up on you! Thanks for your effort :) You are so skilled in doing a makeup and dressing up! Your eye make up looks amazing, I also love the monki cardigan! I love your GRWM videos; your makeup is so pretty! The cardigan looks so cozy! I love the long length, too. Good job for getting the filming and editing done in one day! When I edit videos, I take days... no wonder I rarely post videos haha. I really ♥ the lip color, it's gorgeous! such a beautiful shot of you! I have seriously been following you years, and I feel like I've seen you grow up SO much. I love that you look so happy at the moment, and I also love that cardigan!! 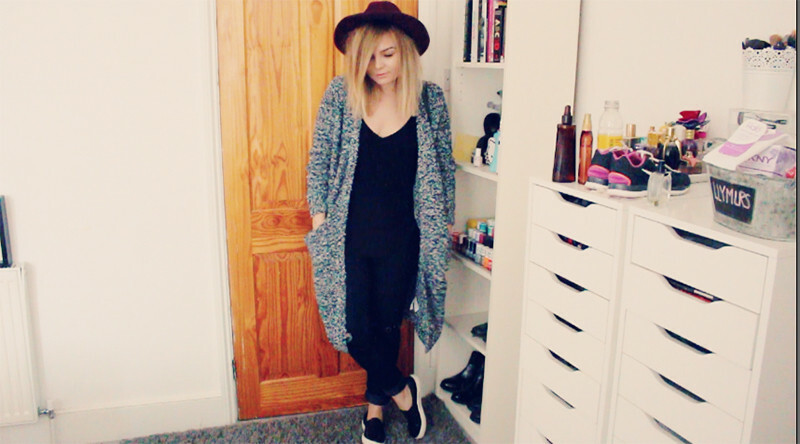 I love your videos, especially the GRWMs and hauls:) Your style is perfect! such a nice, relaxed look, I love it!